This patient had an implant inserted in the right maxillary premolar area. Unfortunately the implant penetrated through and became lodged in the right maxillary sinus. This is an x-ray taken before the implant was inserted. 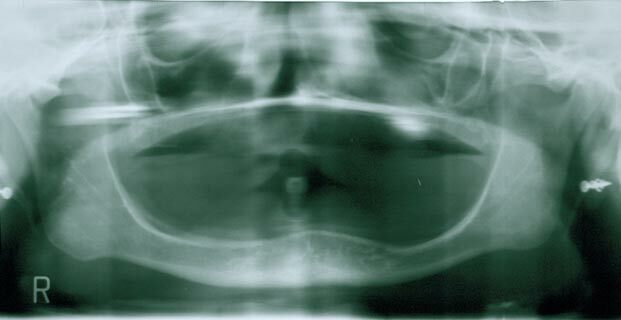 In this x-ray the implant can be seen in the right maxillary sinus. The loged mplant was surgically removed by Dr Galil. A small opening (Caldwell-Luc type) was created through which the implant was extracted. 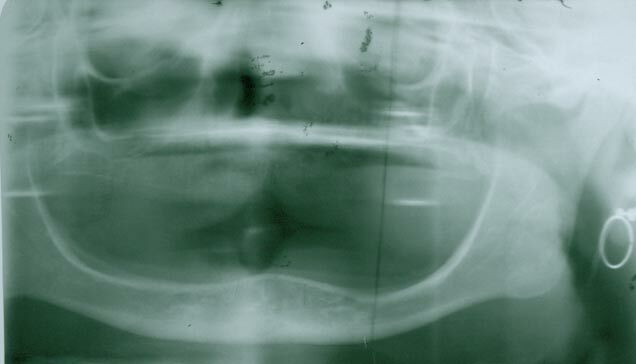 This post operative x-ray shows that the implant is no longer in the sinus cavity.